Anil Ambani-led Reliance Group companies on Friday said that illegal, motivated and unwarranted actions by L&T Finance and Edelweiss group is responsible for nearly 55 per cent drop in market capitalisation in just 4 trading days. On February 1, Reliance Communications had filed for bankruptcy to resolve its debt position. As of March 2017, the company owed banks USD 7 billion. In strong retaliation to these allegations, Edelweiss Group said the claims made by Reliance Group are entirely unfounded and baseless. L&T Finance also came forth with its clarification that the sale of shares of Reliance Group companies is as per contractual rights and is legal. Telecom regulator Trai has said nine crore out of 17 crore TV homes have made their channel preferences to onboard the new tariff regime, and it is constantly monitoring the situation to ensure that consumers do not face inconvenience.The regulator also plans to step up efforts on customer outreach and awareness programmes. The regulator has unveiled the new tariff order and regulatory regime for the broadcast and cable sector, which paves the way for consumers to opt for channels they wish to view, and pay only for them. The country's largest telecom firm Vodafone Idea is planning to invest around Rs 20,000 crore in networks over the next 15 months, according to company officials. The company is also planning to raise Rs 25,000 crore through rights issue, in which the promoter shareholders -- Vodafone Group and Aditya Birla Group -- have reiterated to the board that they intend to contribute up to Rs 11,000 crore and Rs 7,250 crore, respectively as part of such rights issue. Tata Starbucks, a 50:50 joint venture between Tata Global Beverages and Starbucks Coffee of the US, is planning to add up to 10 new stores in the next two months, taking the total count to around 145 outlets, said a top company official. The premium coffee chain is increasing the number of roll outs as it is getting overall good consumer response, said Tata Global Beverages (TGBL). At a time when two-wheeler manufacturers are finding sales moving at a slow pace in the domestic market, their exports have risen by 19.49 per cent in the April-January period this fiscal, according to the latest data from auto industry body SIAM. The growth in exports of two-wheelers from the country is driven mainly by motorcycles and scooters. Recovery in markets such as Africa and Latin America has helped two-wheeler manufacturers crank up their exports from India, industry observers said. 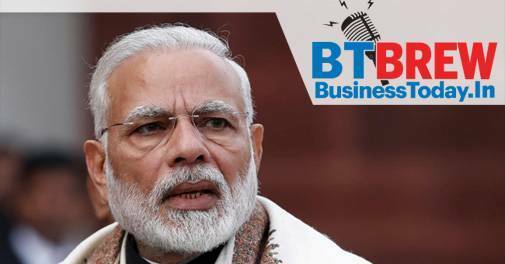 As debate intensifies over rising unemployment in the country, the Modi government claims to have generated over 3.79 lakh jobs between 2017 and 2019 in its various establishments, according to the interim budget for 2019-20. The data assumes significance as the Congress and other opposition parties have been targeting Prime Minister Narendra Modi over rising unemployment. The government has rejected the charges. State-owned State Bank of India (SBI) and Oriental Bank of Commerce (OBC) have put on sale various financial accounts to recover dues of around Rs 5,740 crore. The country's largest lender SBI has invited bids from asset reconstruction companies (ARCs) and financial institutions (FIs) to recover an outstanding of Rs 4,975 crore.